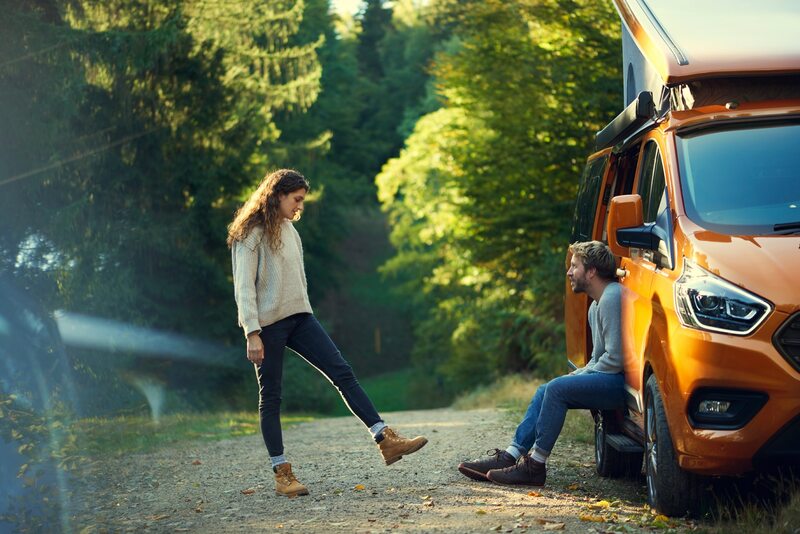 The Westfalia-converted van in available in Europe but needs to come to the U.S. 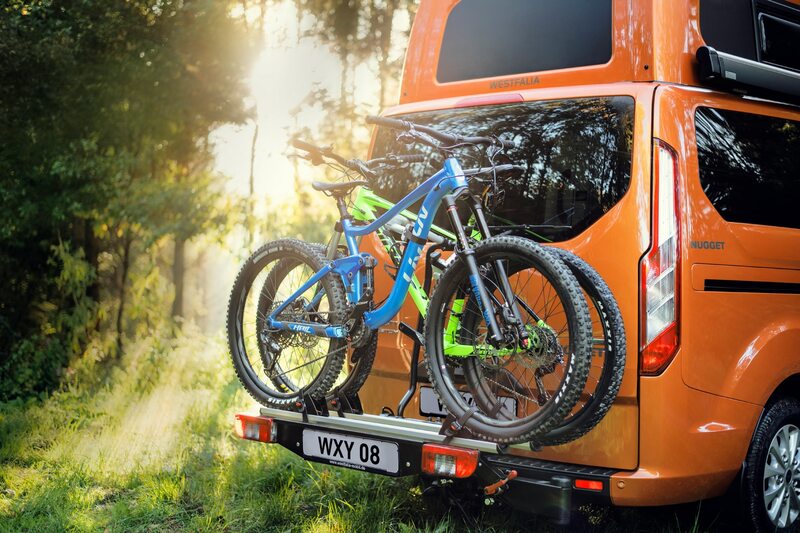 Check out this nifty Nugget! 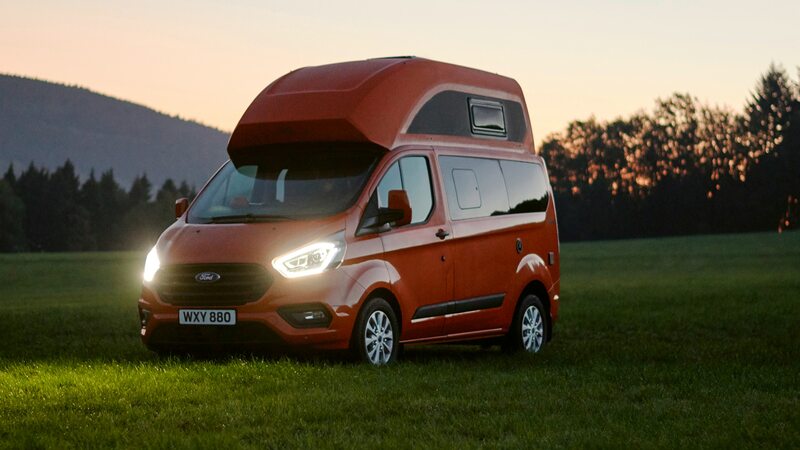 The Ford Transit Nugget camper is a camper conversion developed with the wizards at Westfalia, who you probably know for their work with VW vans. 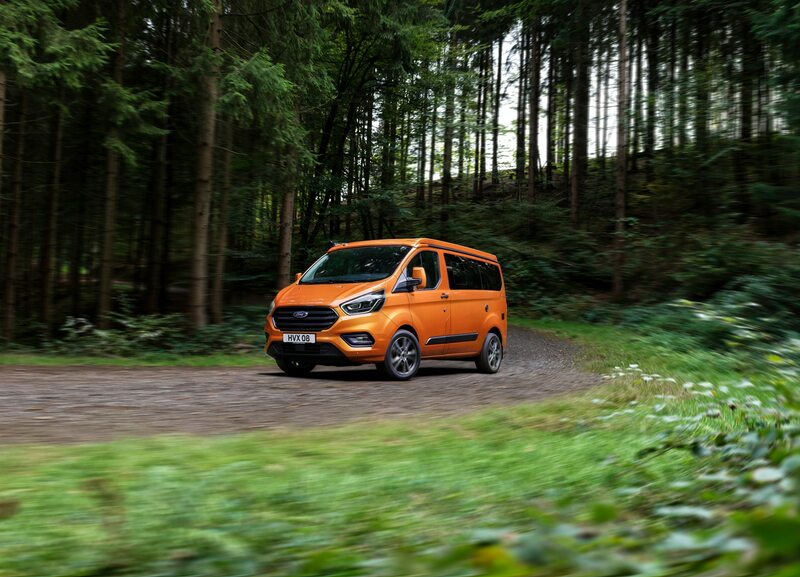 Various generations of Transit Nugget have been available in Europe for a while, but the latest made its debut recently at the Brussels motor show in Belgium. 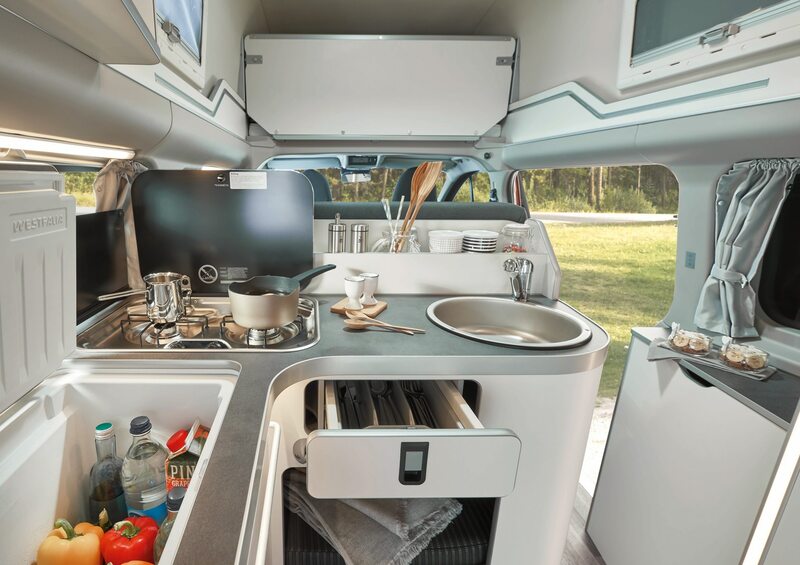 The newest Nugget features a kitchenette and bathroom with a foldaway sink, sleeps four campers, and is now available in a long-wheelbase Plus model. 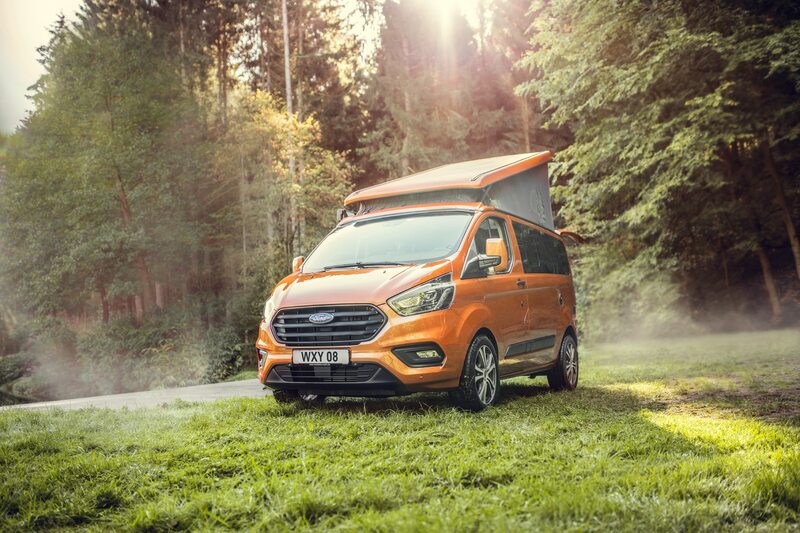 Sadly, while we do get the Transit vans on which they’re based, no Nuggets are available in the U.S. at the moment; they are, however, available order from Ford dealers in select European markets this spring. 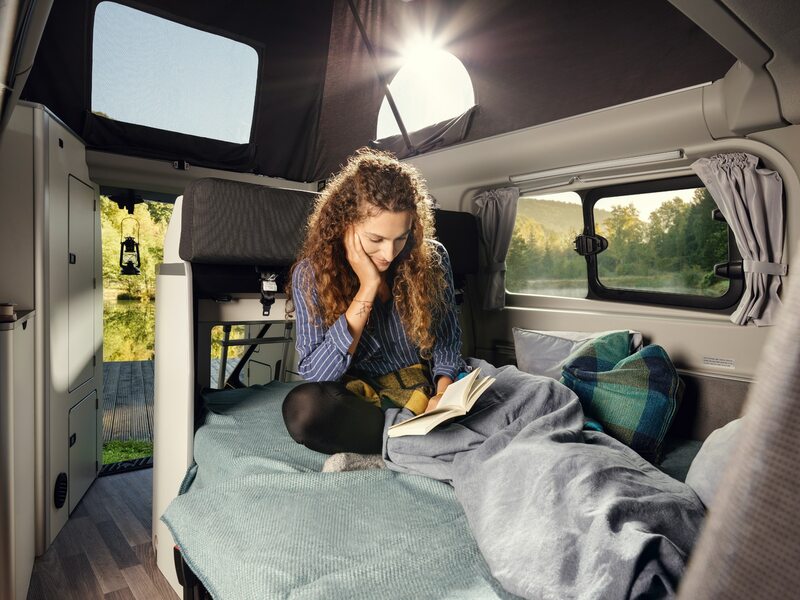 The mini motorhome starts out as a Transit Custom and is 14.4 inches longer than a standard van with the popular Nugget camper by Westfalia added. 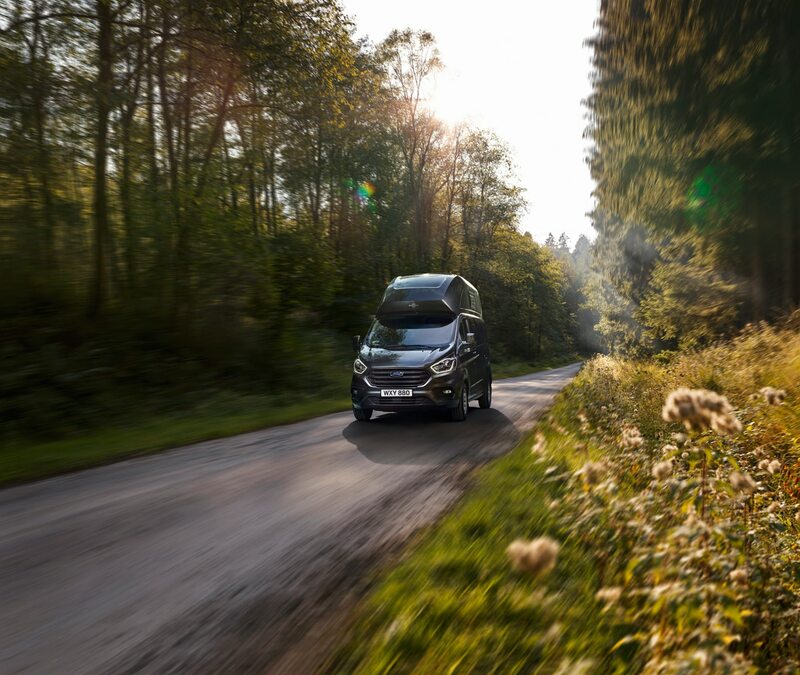 It packs a 2.0-liter EcoBlue diesel four-cylinder engine that delivers 128 or 168 horsepower depending on trim. 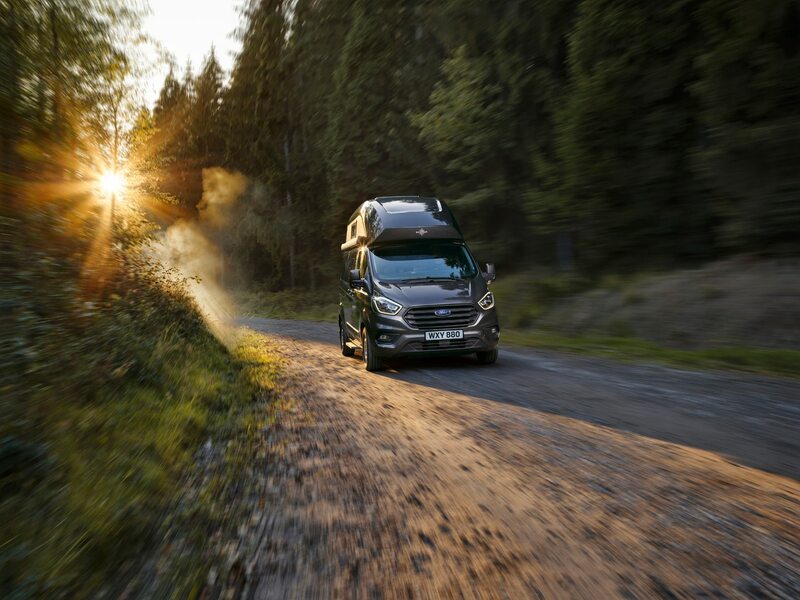 The engine is mated to a six-speed manual or a six-speed automatic transmission. 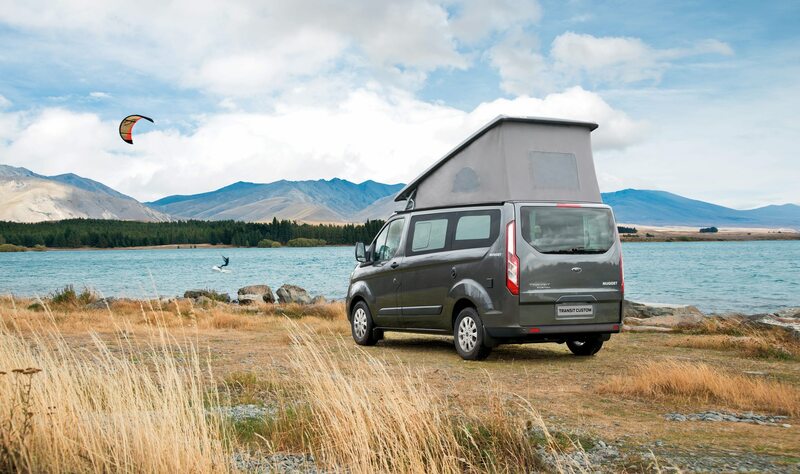 The Custom Nugget is available with a choice of a pop-up roof or a fixed high one, while the top-spec Nugget Plus is fixed-roof only. 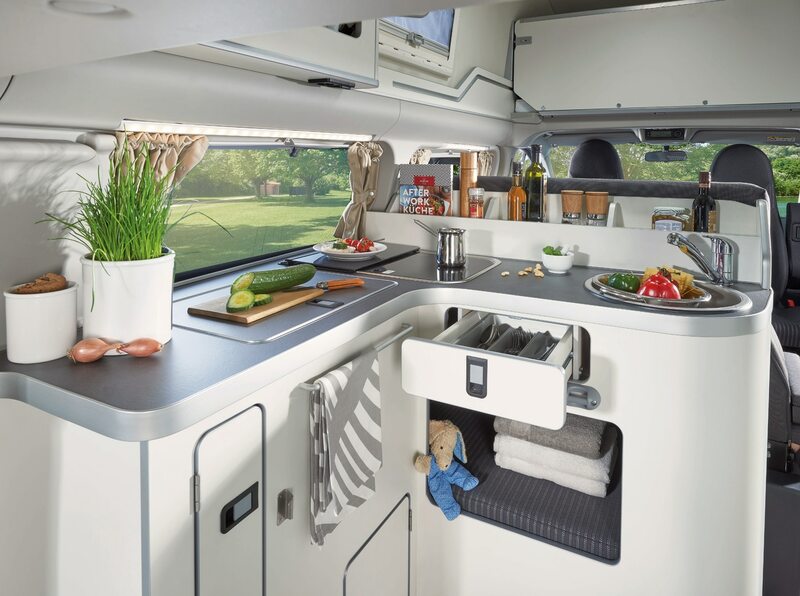 The design offers a three-room layout that also includes a living and dining area in the middle. 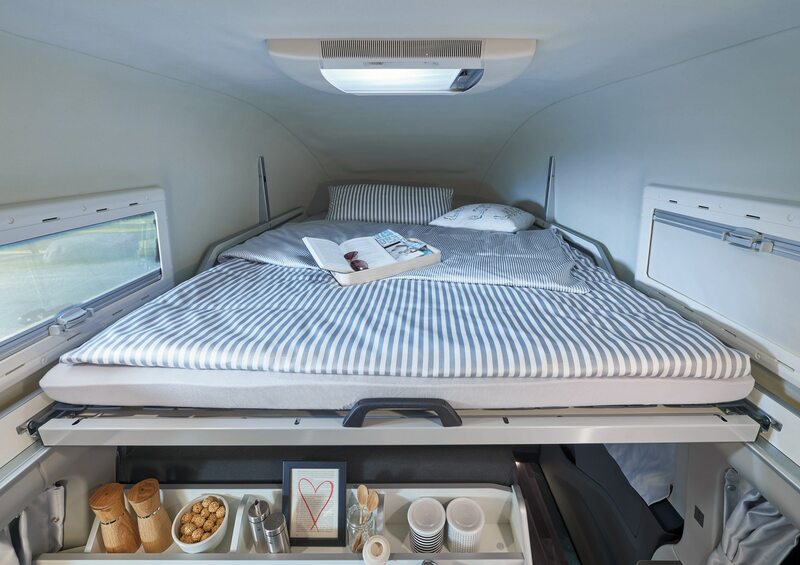 There’s a double bed that folds out of the roof space and another one that folds out in the living area when needed. 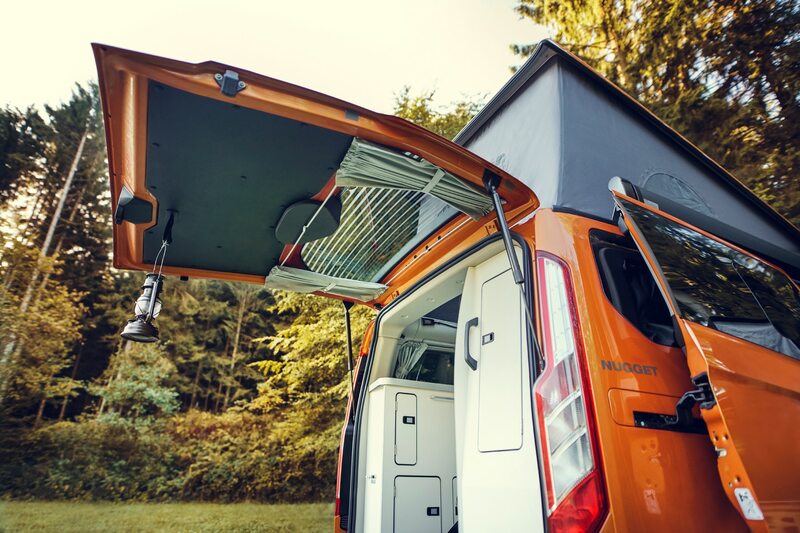 Two onboard water tanks can hold up to roughly 11 gallons each and also can supply an outdoor shower at the back of the camper. 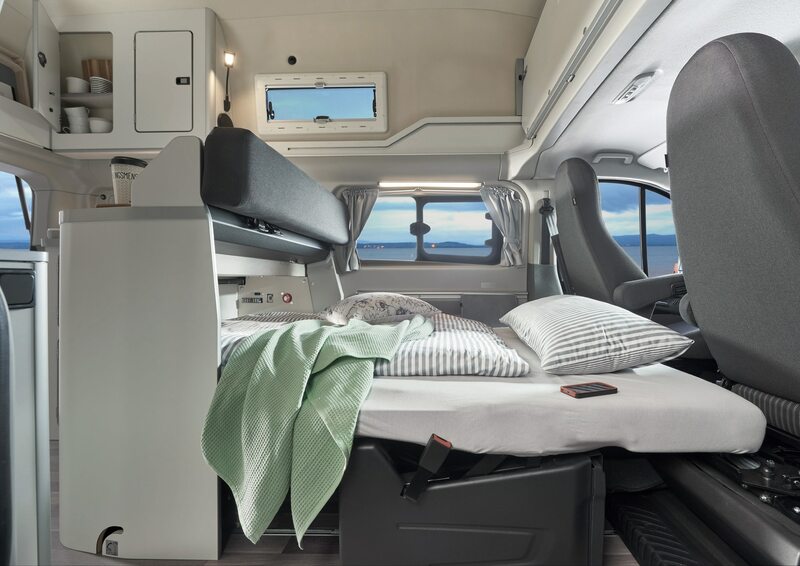 Rear privacy glass, second-row flip-open windows, and a rear defroster are standard. 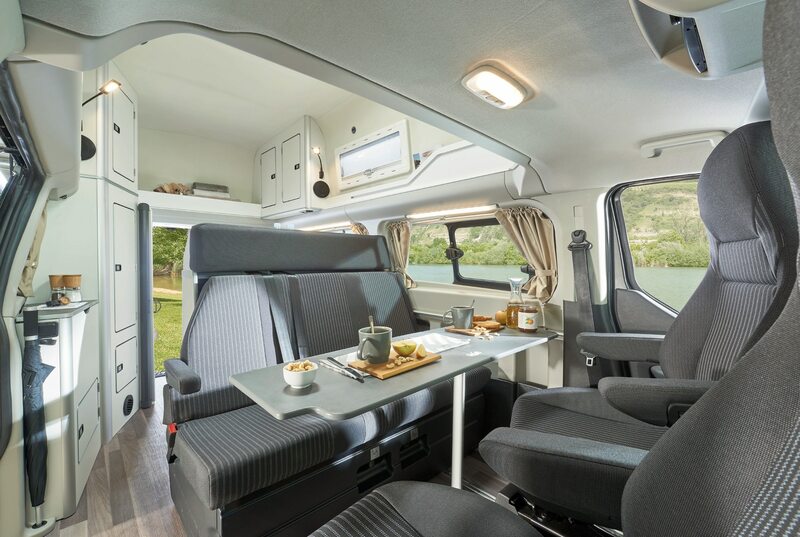 There’s also an optional fold-out table with two chairs and a retractable awning that seems like a must-have for diehard outdoorsy types. 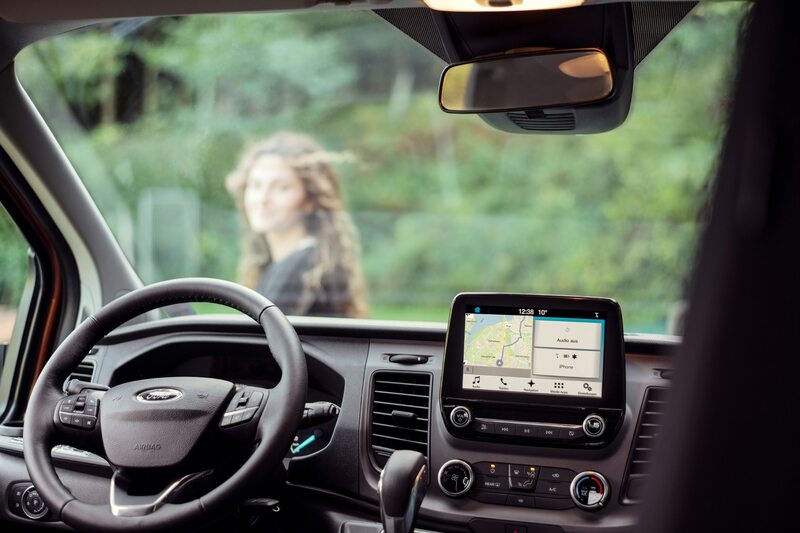 Tech-wise, the van can be had with Ford’s Sync 3 infotainment with an 8.0-inch screen, cross-traffic alert, pre-collision assist with pedestrian detection, and adaptive cruise control. 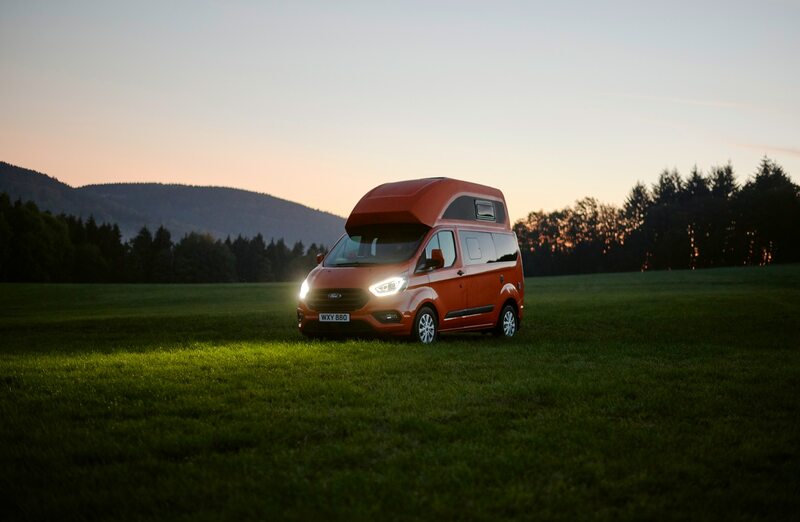 FoMoCo says the newest Nugget will be available in Austria, Belgium, Germany, Italy, and Switzerland before becoming available in other markets—like hopefully ours. 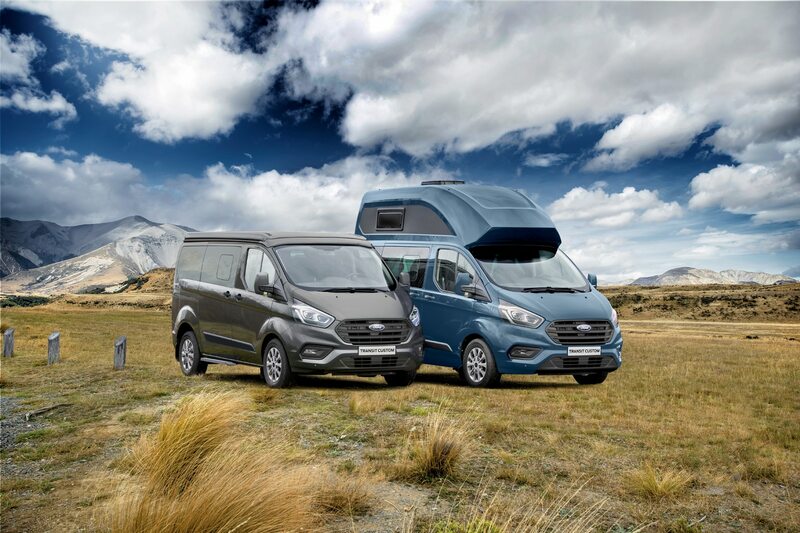 Hint, hint, Ford.